There are many different digestive disorders that can cause abdominal pain diarrhoea, constipation, abdominal cramping, nausea, and vomiting. Common conditions that produce these symptoms include Irritable Bowel Syndrome, Gallstones, Gastritis, Stomach Ulcers, Diverticulosis, Inflammatory Bowel Disease, Crohn's Disease, and Acid Reflux Disease. Although there are numerous types of prescription drugs and over-the-counter medications that are highly effective at treating the symptoms of these diseases, most of the options carry the risk of producing unwanted, and sometimes serious, side effects. That is why many individuals choose to supplement their prescribed treatment plans with natural remedies. Since many digestive disorders share the same common symptoms, the most popular natural herbal remedies are aimed at reducing or eliminating these symptoms. Symptoms such as diarrhoea, constipation, nausea, general queasiness, and abdominal pain are easy to treat with following naturally growing herbs and spices. German chamomile is a medicinal herb that helps alleviate many general symptoms of digestive disorders. Its anti-inflammatory, calming, and anti-spasmodic properties help soothe the digestive tract, reduce inflammation, and control the pain of abdominal cramping. Slippery Elm is another herb that has anti-inflammatory properties. This herb can help reduce irritation in the stomach and help heals areas affected by ulcers. Another ulcer healing herb is Meadowsweet. This herb also contains anti-inflammatory properties that soothe the stomach, however, it also helps reduce stomach acid secretions. For the treatment of diarrhoea and constipation Black Walnut is a great choice. The hulls of this nut are great for promoting bowel regularity. Another great herb for these ailments is Raspberry leaf. This herb has astringent and soothing properties that help balance out the flow of the intestines in order to prevent diarrhoea and constipation. For the treatment of diarrhoea and nausea associated with influenza Catnip is a great choice. This herb nourishes the stomach and helps aid in normal digestion. For gastrointestinal disorders herbs such as Marshmallow, Anise, Mandrake, Peppermint, and Safflower offer relief from pain and a soothing property that quiets upset stomach, cramping, and bloating. 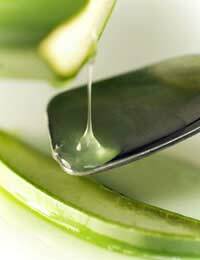 For overall relief from and treatment for digestive disorders Aloe Vera is a wonder remedy. This plant contains properties that help cleanse the body of irritants, help balance the functions of the digestive tract, help maintain proper blood and lymphatic fluid circulation, help prevent over acidity in the stomach, and reduce general inflammation. You do not have to take herbs to get relief from your symptoms the natural way. Heating pads, especially those that utilise moist heat, are great for relieving the pain of abdominal cramping, relaxing the muscles of the intestines, and easing the queasiness associated with nausea. Warm baths also offer the same relief but can also be extra useful when fighting the symptoms of diarrhoea. Getting adequate amounts of rest can help ease the symptoms of all digestive disorders. During deep sleep the body can better concentrate on healing its damaged tissues and your immune system is better able to fight the disease or infection that is causing your symptoms. Finally, exercising is a great way to relieve many of the symptoms associated with digestive disorders. Exercising relaxes tense muscles like the stomach or intestines, strengthens important organs for better digestion, helps food move more regularly through the digestive tract, and aids the expelling of bodily wastes. Although most natural herbs do not carry a risk of unwanted side effects it is always best to discuss their use with your doctor before starting a treatment plan. Some herbs have been known to cause allergic reactions and some herbs can make certain disorders worse.